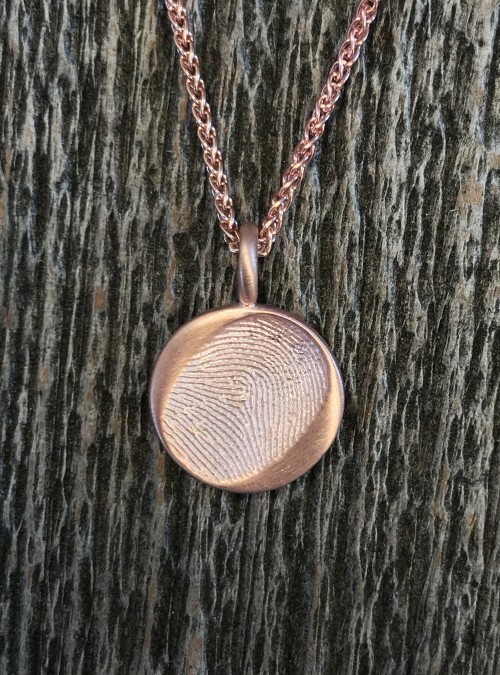 You’ll swear your loved one just pressed a finger into your pendant. Don’t settle for less than Dimples High Definition technology to create a treasure you’ll cherish for a lifetime. Your loved one’s fingerprint in high def on a white gold charm, 14 mm in diameter (the size of a nickel), with a white gold chain. Available in sterling silver and 10K, 14K, 18K yellow, rose and white gold.